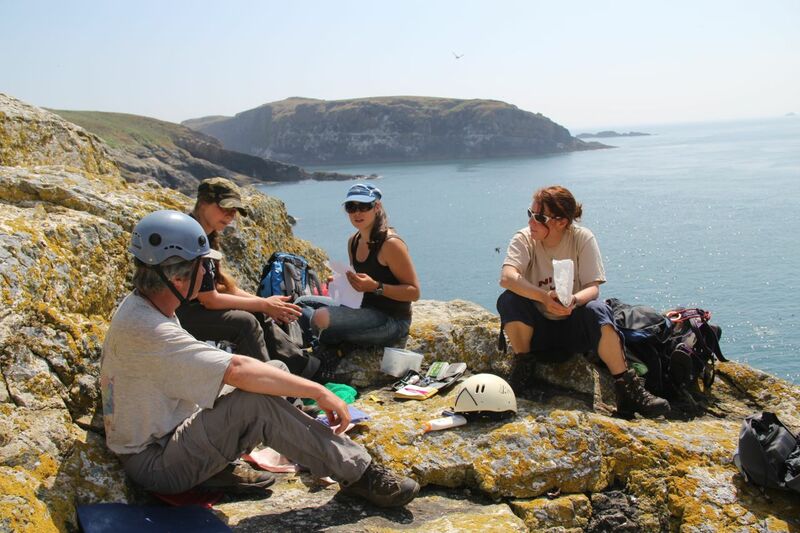 A volunteer is needed to assist the wardens with all aspects of island management from end of August onwards. Placements are usually 8 weeks. 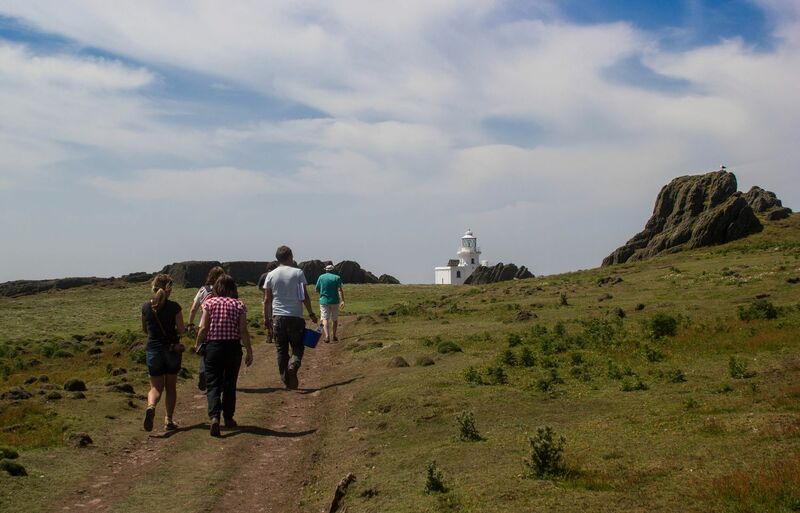 The successful candidate will be working alongside wardens, short-term volunteers and researchers and will have the opportunity to gain experience in monitoring, visitor management and island living. Free accommodation is provided on the island. This year, as you are probably well aware, has seen the longest period of warm, sunny and settled weather in a very long time (some sources say since 1976). It also saw the coldest March in 50 years. These extremes create challenges for our native wildlife. Many of our birds were two or three weeks late with their breeding cycles and butterflies were slow to emerge in spring. 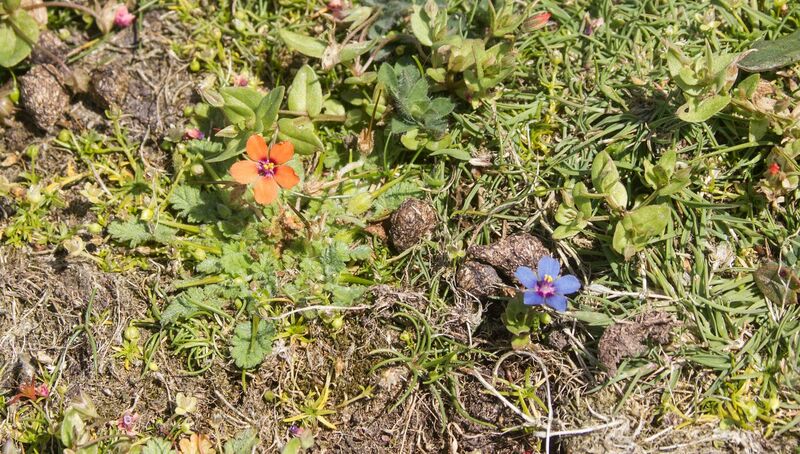 To make matters worse this comes off the back of the two worst years for butterflies on record. 2012 was such a poor year that the majority of butterfly species suffered declines. 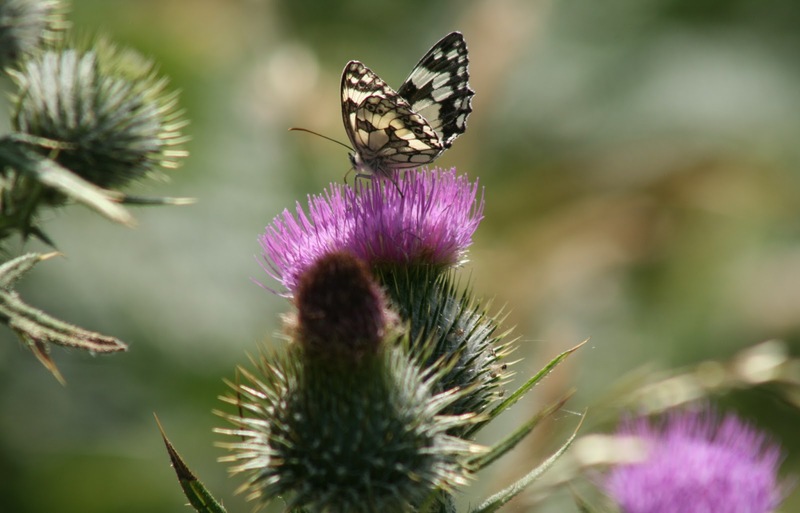 For more information see the Butterfly Conservation website. The settled summer, so far, therefore comes as a welcome boost to many butterflies and moths. This year we have been doing lots of moth trapping and have added quite a lot of new species to the Skomer list. The latest was this handsome Blackneck moth. We can also report that the Puffins are still around in good numbers and should be, albeit intermittently, for the next two weeks or so, until all the pufflings are fledged. Due to the late spring, many puffins are still around on Skomer. Puffin chicks (pufflings!) have reached a weight of around 300g after being brought beakfuls of sandeels by their parents for the last six weeks. Chicks are now beginning to venture out of their burrows and exercise their wings ready for fledging. When the pufflings fledge they are only 70% of the adults weight but unlike the young of razorbills and guillemots they are able to fly reasonably well. However, they are still vulnerable to attacks by predatory gulls so they leave under cover of darkness. The pufflings make their way out to sea alone and receive no further parental care. They will remain at sea for almost two years without setting foot on land. From the age of two onwards they will return to the colony looking for a mate and prospecting for a burrow. They will most likely start breeding at the age of four or five. Puffins on average live to 25 years old but the oldest on Skomer is a grand 38! 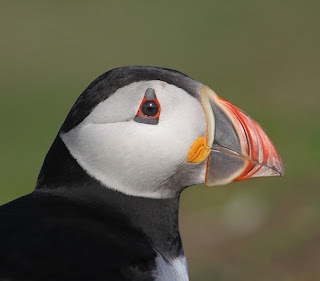 Now is a great time to come to Skomer to see puffins and to try to spot pufflings coming out of burrows. The next couple of weeks will be the only time of year you can spot a baby puffin. Thanks to Conor Strong and Howard Driver our weekly volunteers for the photos. As mentioned in our last blog post Skokholm water testing visit some work conducted by Oxford and Sheffield Universities has been going on at the Amos. 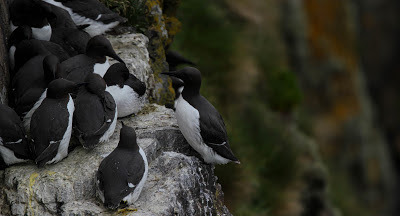 Over the course of two days, 8th and 9th of July, c.300 Guillemot chicks and c.40 adults were caught using leg hooks on poles and given colour rings to make them individually identifiable. Another six birds carrying geolocators (Oxford study) were recaught in order to retrieve the data held on the devices. The university of Sheffield's long term study of Guillemots (it was started in 1972) continues, with another cohort of chicks ringed, so that their future survival and breeding success can be monitored. The adults and chicks caught came to no harm and the whole operation was conducted with the bird's welfare in mind. Hopefully the series of photos below give a feel for how the field work takes place. 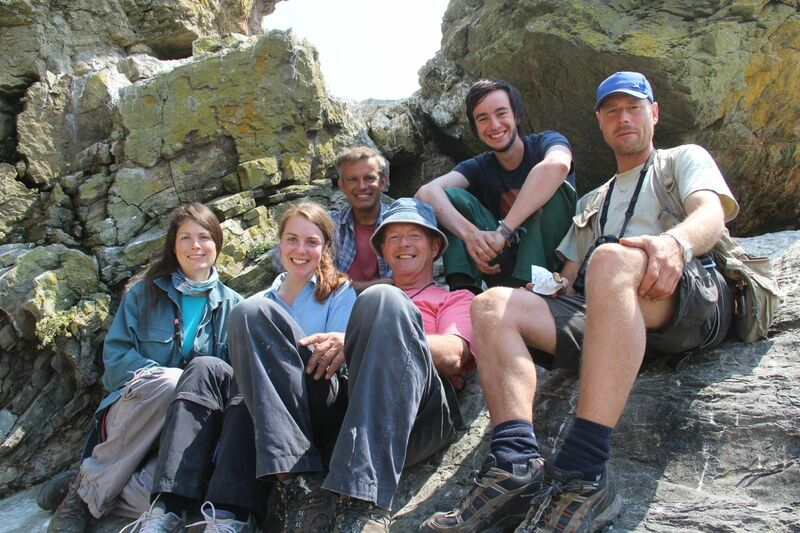 There were two teams involved on the seperate days led by Prof. Tim Birkhead and Prof. Tim Guilford. 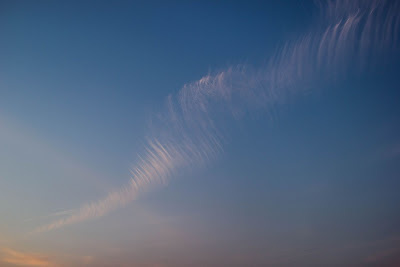 As we love to talk about the weather in Britain, the recent spell of settled high pressure with sun and no wind is getting rather boring and causing a mini drought on Skomer. 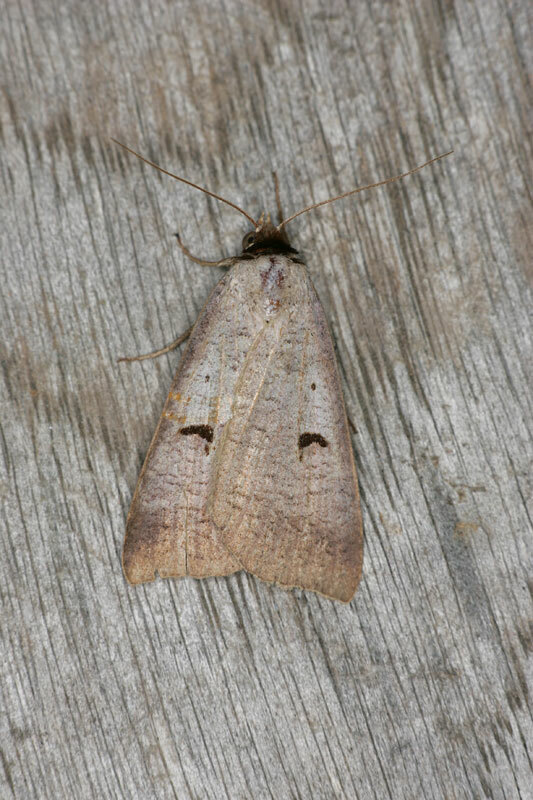 However, we can still moan about the drought, hay fever, caused by pollen from the Yorkshire Fog Holcus lanatus grass which covers large areas of the island, and of course being too hot. 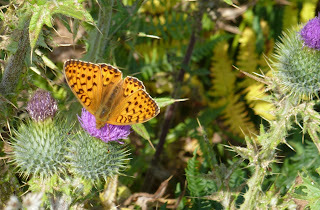 The warm and calm weather has meant that there have been a few butterflies flying though and as well as the super abundant Meadow Browns Maniola jurtina we have also recorded some Small Tortoiseshells Aglais urticae, Graylings Hipparchia semele and a few Dark Green Fritillaries Argynnis aglaja. 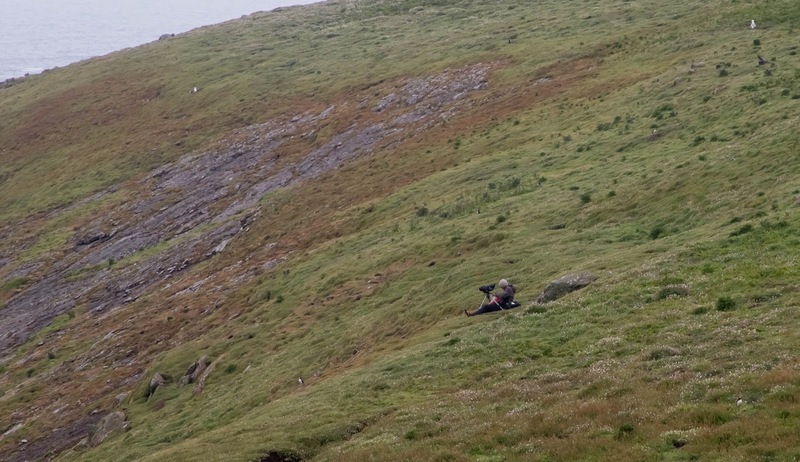 There were two major operations going on today around Skomer and Skokholm. 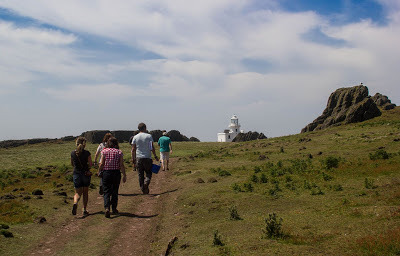 Researchers from Oxford and Shefield Universities went to the Amos to recapture some Guillemots with geolocators and we also took Pembs County Council out to Skokholm to test their water supply. The former was moderately successful and 6 birds were recaptured. A number of chicks were also colour ringed as part of Shefield Universities long term studies on Guillemots. Weather conditions were ideal for a trip to 'Skok' and the crossing was without incident. After tying our inflatable up in South Haven we had two hours on the island to check the water supply and take samples for analysis. 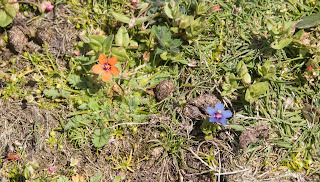 Along the way we also recorded some wildlife (as would be expected from two members of wildlife trust staff!). We saw a Blackcap and a Chiffchaff around the Helgoland traps and recorded some rare lichens and invertabrates near the lighthouse. 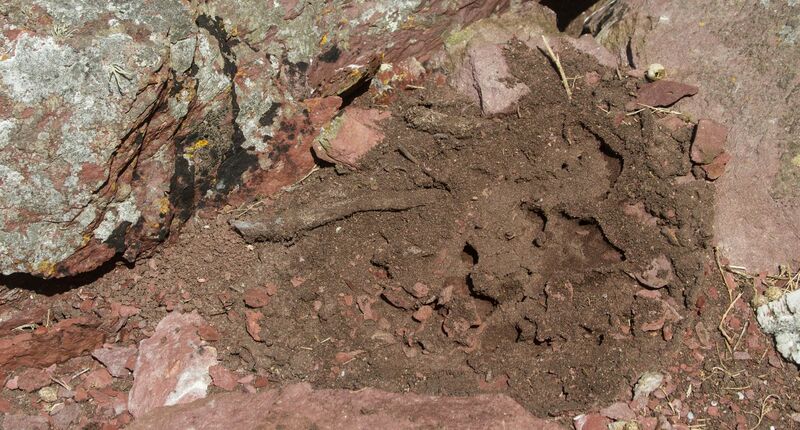 Whilst recording the purse web spiders we also heard some Storm Petrels calling from their burrows. Nice weather that let us get over in our little boat. The weather was warm, sunny and, most uncommon of all, still, so a wonderful day was had and we returned in the early afternoon to a balmy Skomer. On the journey back a Dark-green Fritillary and a probable Red Admiral were seen flying over the sea towards the mainland! Purse web spider webs under a stone in the quarry (one of only five sites in pembrokeshire and a BAP species!) note the big web for the adult and the tiny ones just above it for younger spiders. They take about five years to mature! All pictures by Lewis Yates. So my day starts with an early morning visit to High Cliff. This large cliff is home to thousands of birds but I'm here to look at the Razorbills. 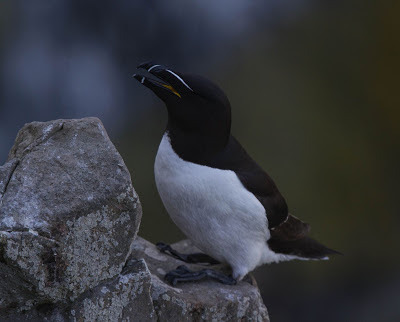 These stout birds lay their eggs in nooks and crannies all over the cliff face- spread out in ones and twos they try to hide away as much as possible to make it easier to defend their eggs and chicks from marauding gulls. Earlier in the season I mapped all the visible pairs of Razorbills in this plot (and a few others) and now visit every day or two to follow their progress, noting which pairs have chicks and timing their progress to determine whether they fledge successfully and swim out to sea with their fathers or become part of the food chain which produces a nice plump gull! Razorbills defend their cliff ledges fiercely with their large, powerful beaks. 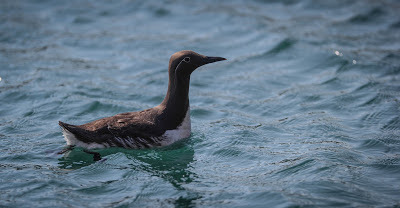 Guillemot are very similar to the Razorbill in many ways. They have similar colouring and also breed on rocky cliff faces. They are much more social birds though, and gather in huge clusters of breeding birds that can grow to well over a thousand birds! Guillemot have to try hard to not lose eggs and chicks over the edge! This strength in numbers does give them some protection against predatory gulls but it is not perfect. So like with the Razorbills, I mapped several plots of these birds earlier in the year and now regularly return to check on their progress. This is made more confusing by the proximity of the birds, and it can be very difficult to tell individuals apart (is that one No. 123 or No. 124....?). Fortunately, every once in a while there is a colour variation referred to as bridled birds. these birds have a vivid white eyestripe that makes them stand out from the crowd and act as waypoints for me when I am navigating the larger colonies. 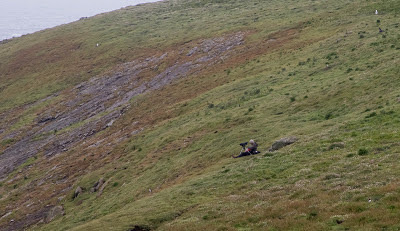 So most of my days so far have been busy with these two species, wind or rain I am to be found sitting on cliff tops around the island with my telescope trained on distant birds. Its an amazing way to follow the life cycle of these stunning seabirds and a great way to improve your attention span- as some birds have to be watched for half an hour or so before they reveal if they have an egg, a chick or sometimes nothing at all underneath them! But I do get other tasks from time to time to provide some variety, however I will leave this ramble to tell you about my work on Kittiwake and Fulmar another time. Our breeding birds are all activity at the moment as they prepare to fledge their young. 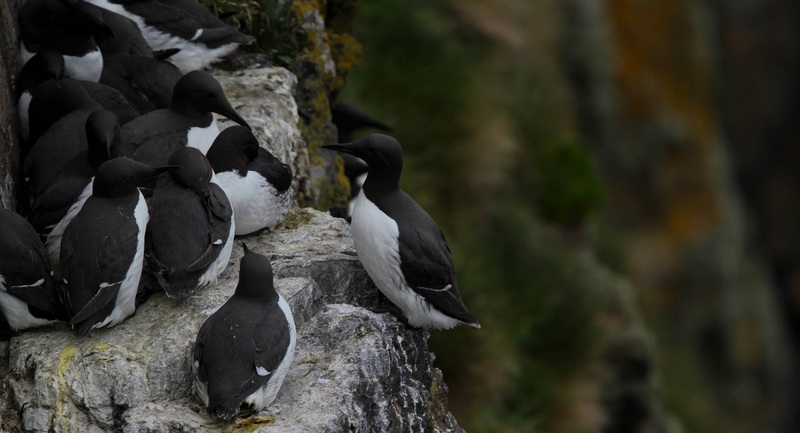 Guillemots and Razorbills are calling from the sea to encourage their chicks to take the leap of faith which will see them jump from their nesting ledges high up on the cliffs to the waiting sea bellow, before they can even fly properly. Puffin chicks will soon approach the entrances to their burrows to take their first look at the outside world and Andy Davies describes the trials and tribulations these birds face as they feed their young. Who are the puffin’s main predators at the colony? A puffin returning to the island with a beakful of fish has to run the gauntlet of herring gulls, lesser black-backed gulls and great black-back gulls whose aim is to steal hard won cargo of fish. These kleptoparasites harass the birds as they come into land, either airborne or patrolling the colony on foot, with the puffin trying to make a rapid dash to gain the safety of the burrow. They may land and then have to take off again as a gull approaches and make a few more aerial circuits before it is safe to make another attempt. Puffins will often drop their catch without any contact from the gull but occasionally they are grasped in flight or a fish tug of war occurs on the ground. Great black-backs are also capable of eating an adult puffin and catch them either by circling above the colony and choosing a likely target or by waiting by a burrow entrance for a bird to emerge. The puffin’s only hope is to gain the safety of the sea or plunge down a burrow.